SNORKELING TOUR IN FAJARDO, PUERTO RICO. Ride your own Mini Speed Boat! Follow our convoy through a string of secluded islands. First stop: Icacos Puerto Rico! * On the route, enjoy white sand beaches and enjoy guided snorkeling along the best coral reefs of La Cordillera Nature Reserve. Plus, your Mini Boat comes packed with snorkeling gear, snacks and refreshments. Arguably, snorkeling in Puerto Rico has never been more radical! No boating license needed! This is a fully-guided excursion. Just choose the number of friends that will ride with you! Take command of your own Mini Boat. Enjoy snorkeling in Puerto Rico at its best. Have fun at secluded white sand beaches, with clear turquoise waters. Count on reliable, expert guidance at all times. Your own 13’ Mini Boat with 40hp Four Stroke Motor*. Cooler with ice, bottled water, refreshments, and snacks. Snorkeling in Puerto Rico basic instruction. 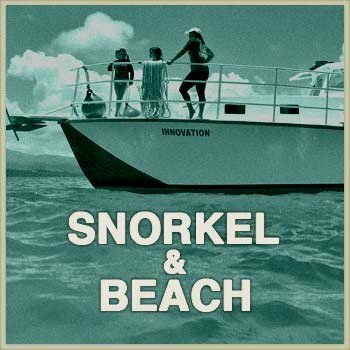 Two guided interpretive snorkeling in Puerto Rico sessions. First aid and marine rescue. *All our equipment is beginner-friendly. 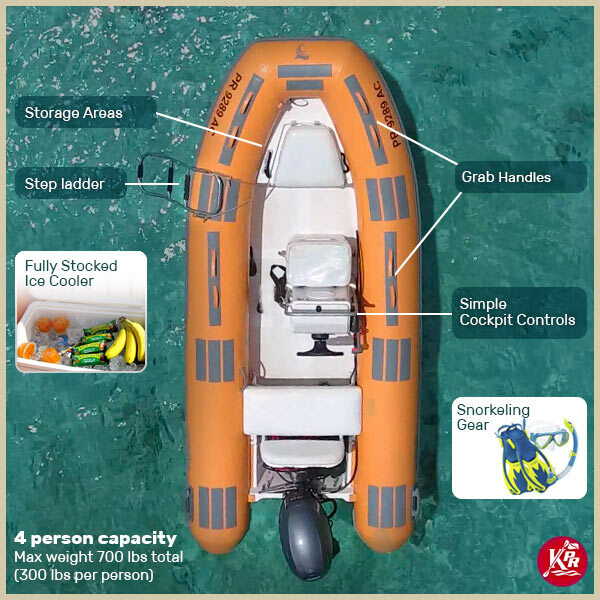 Your Mini Boat comes fully equipped with cold refreshments and snorkeling gear. All you need for your snorkeling in Puerto Rico adventure! Mini Boat Tour home base at Puerto Chico Marina. Ride in comfort to Icacos Puerto Rico! 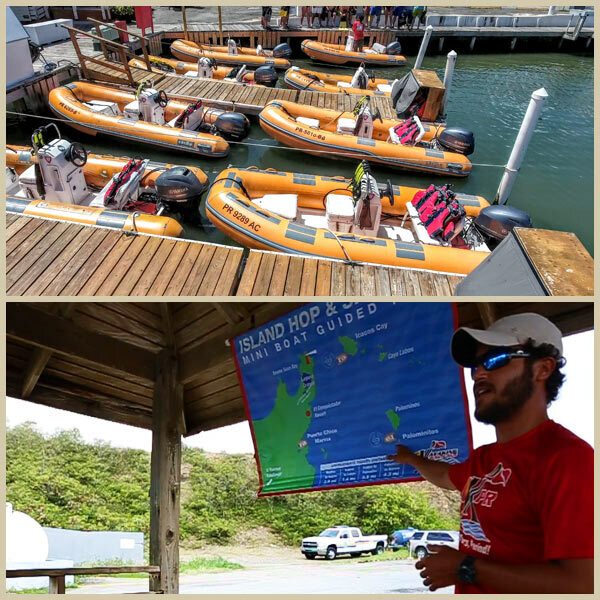 Your Island-Cruise & Snorkel Mini Boat Tour begins at Puerto Chico Marina. Upon arrival, follow our signs until our check-in. Our guides will explain all you need to know. They will go over safety rules and the excursion route. 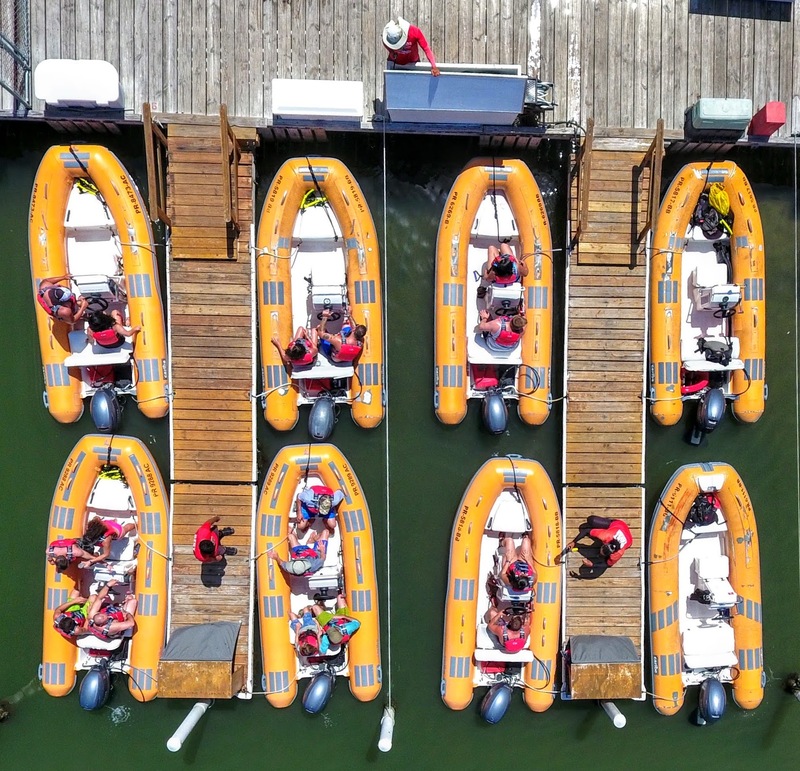 When all our adventurers are ready, it’s time to board your Mini Boats! Our guides will cover boating basics before departure. The fun begins as we clear Puerto Chico Marina. We will head north along the bluffs of the Las Cabezas Nature Reserve. As we cross the Fajardo Sound, El Yunque Rainforest raises in the background. The mangrove-lined coast frames Fajardo’s 130 years old Spanish lighthouse. This is the landscape that the Spanish conquerors first saw of Puerto Rico! You will ride your Mini Boat north following our convoy. Now, it’s time to enjoy your engine! Thirty minutes in, our first stop is Icacos. This deserted island is also known as Cayo Icacos or Icaco. Its white sand and turquoise water make it a true gem paradise! Snacks and refreshments are available in your Mini Boat at all times. Go on and explore the island. Learn its history and chill at the beach. Then, get ready for a unique, guided snorkeling experience! Your snorkeling equipment is in your Mini Boat too. After about an hour in “Icacos” we embark once again and set course along the Island chain, “La Cordillera”, a string of small, uninhabited islands and cays protected by the Dept of Natural Resources, all surrounded by crystal clear waters abundant with marine life. 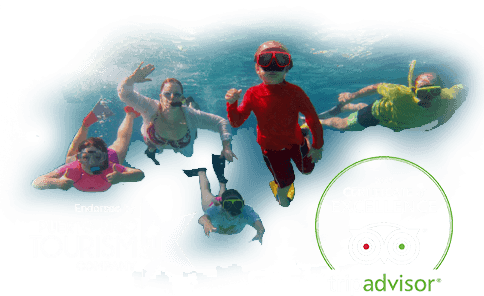 The coral reefs and rock formations that are found below the surface make “La Cordillera” one of the preferred snorkeling spots in Puerto Rico for amateurs and professionals alike. During your tour our guides will take time to interpret the natural history of the reserve, explain the surrounding scenery. The group will board their Mini Boats again for the journey back to the marina. 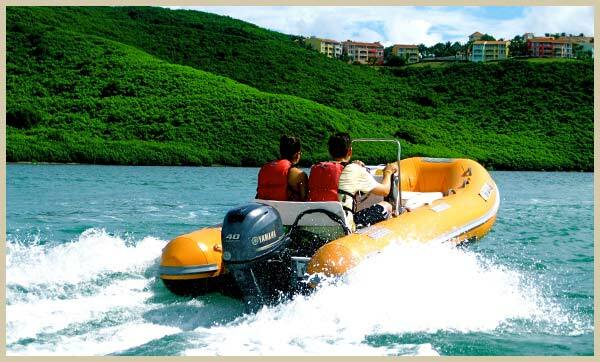 Enjoy your Mini Boat in the vastness of the Fajardo Sound. By this time, you may have become addicted to your Mini Boat! *Note: KPR has a strict safety-first policy. Our guides will take you where weather conditions are best for the day. We will notify you if we need to make changes due to weather conditions. Your adventure starts at our home base in Marina Puerto Chico. Cruise by the world famous El Conquistador hotel on your way to Icacos. The Mini Boat Tour requires a minimum of 2 Mini Boats to go out. Therefore, we will call you to discuss your options if the minimum is not met. Need more info? Visit our Frequently Asked Questions. Bring waterproof or protected cameras only. Use a bright floating attachment. Do not put at risk big SLR cameras and non-waterproof cameras.